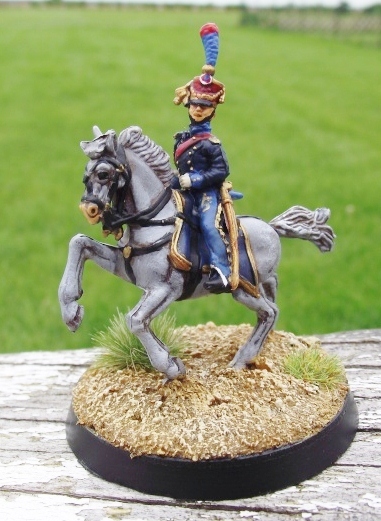 Expertly painted 20mm French Napoleonic Aide De Camp by French miniaturist Frederic Subtle use of 1 large and 1 small green tuft to dress the base. 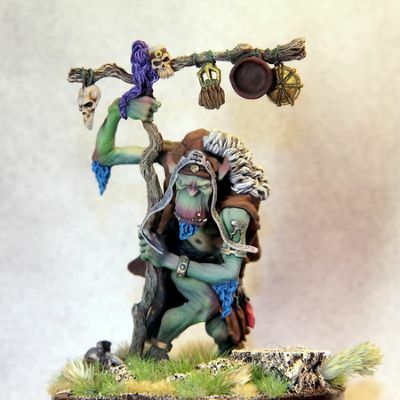 Remarkable 54mm Andrea Orc superbly painted by talented Russian artist Aleksandr Kursov AKA "Khorn". 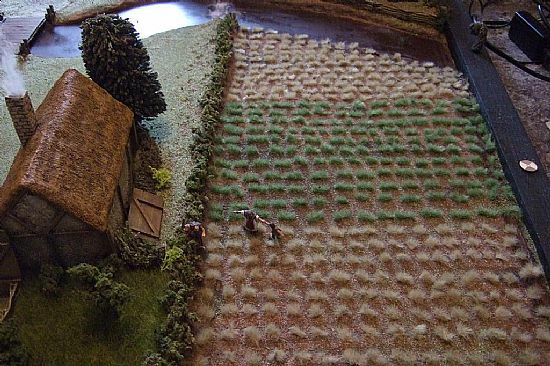 Image is courtesy of Alex showing our tufts used to dress the base. 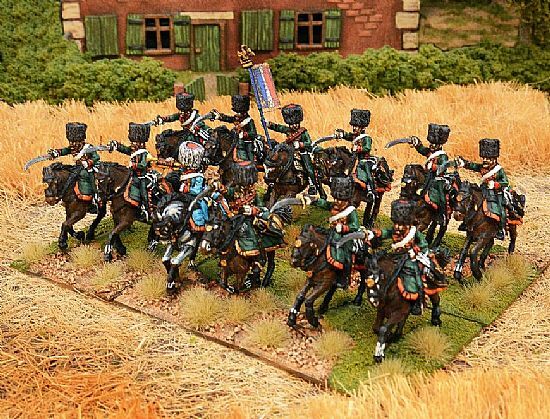 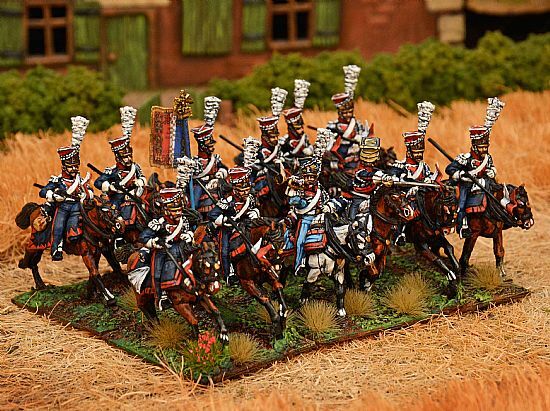 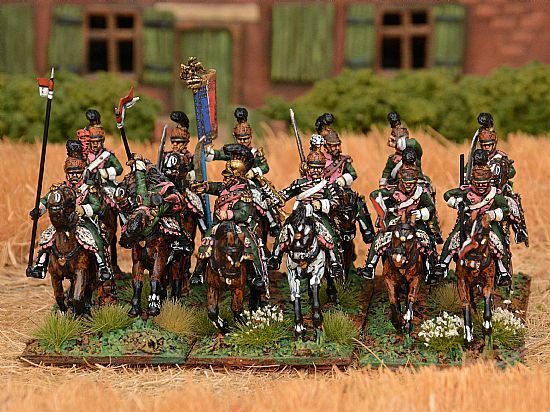 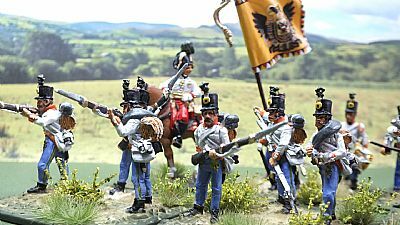 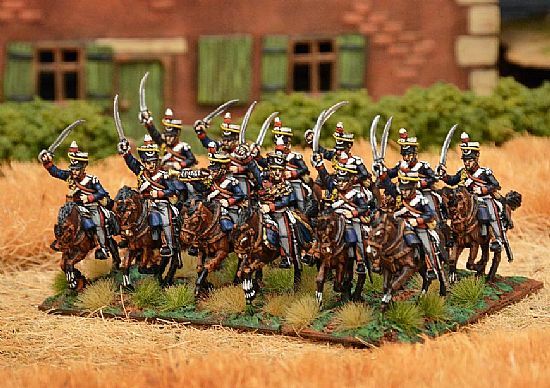 Very nice 28mm Napoleonic Austrians by professional UK commission painter Robert Hornsby. 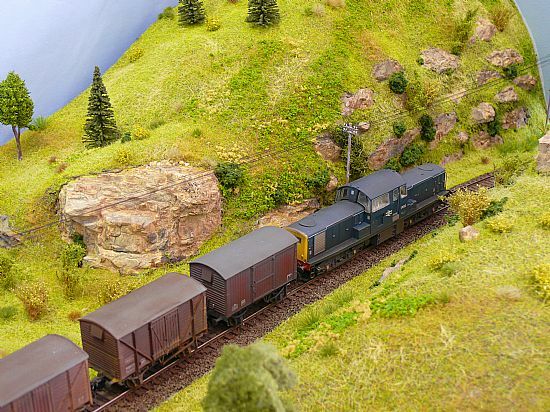 Use of sections of Gorse Bush tufts and grasses. 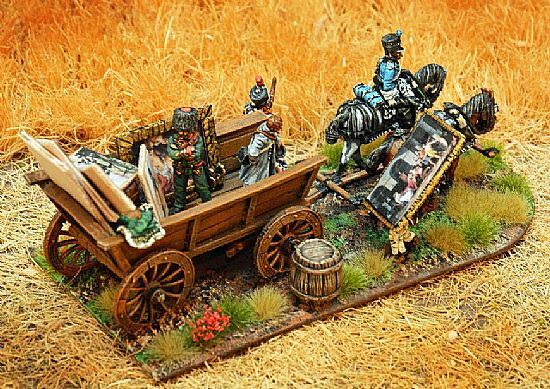 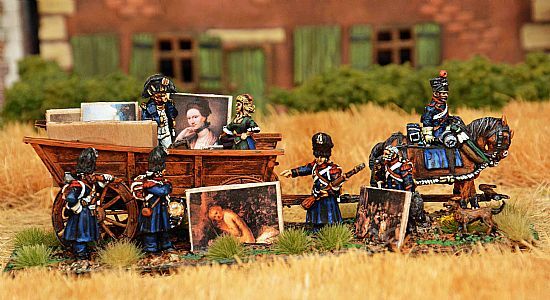 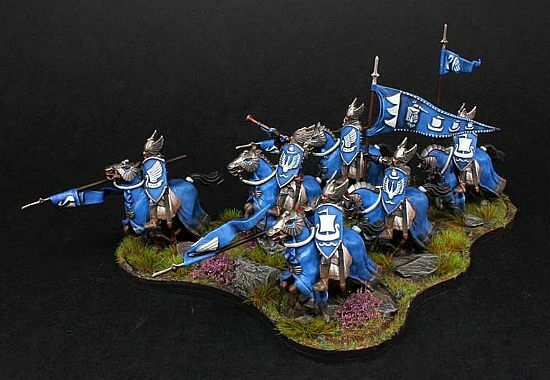 The following 28mm Napoleonic images are courtesy of the very talented artist and wargames author Stephen Maughan. 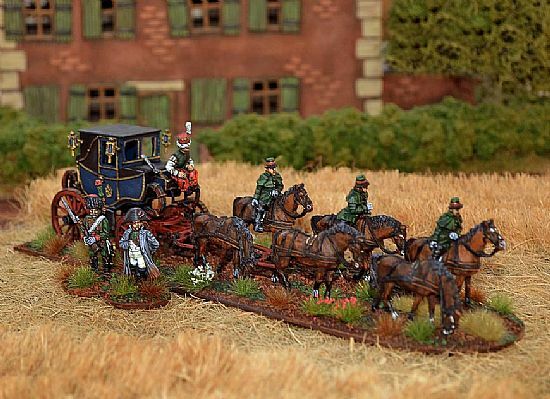 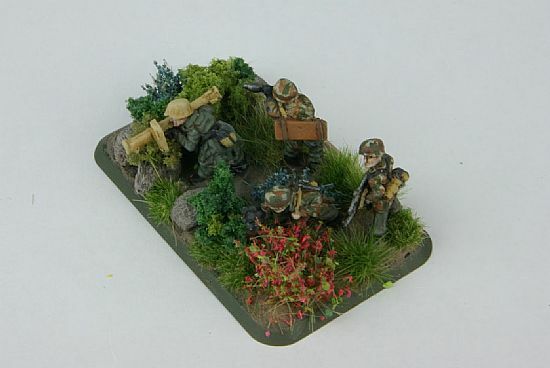 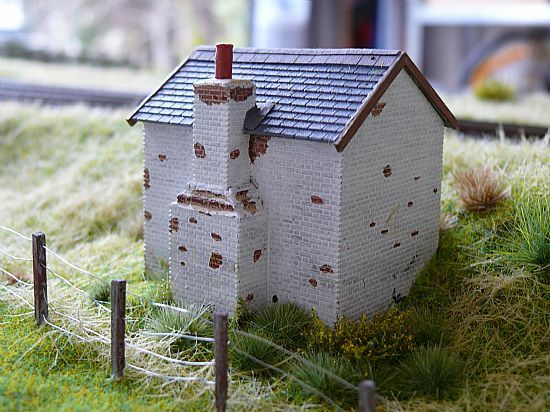 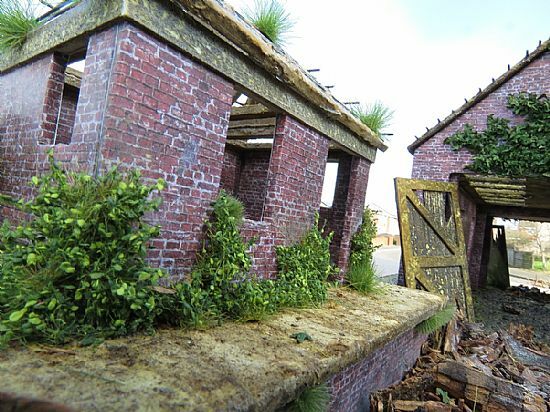 His body of work can be seen at his website www.waterloo18151815.com He makes extensive use of Tajima1 basing tufts within his highly imaginative and well executed dioramas and wargames bases. 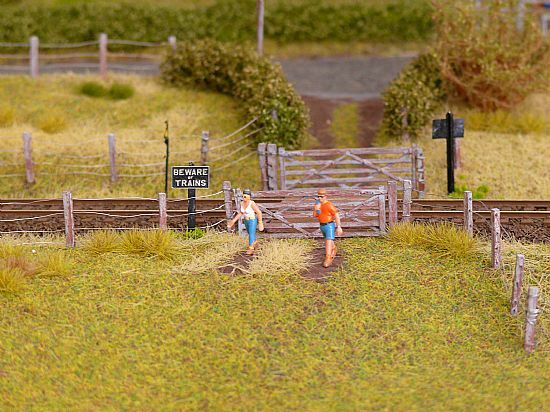 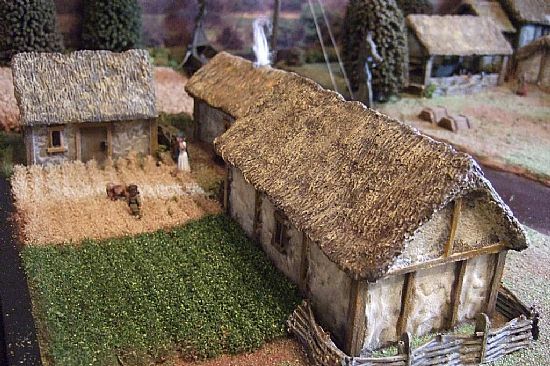 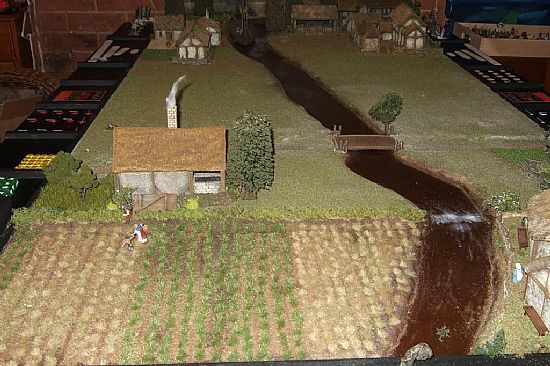 John has used both crop strips and segments of grass strips to create superbly realistic medieval farm scenes. 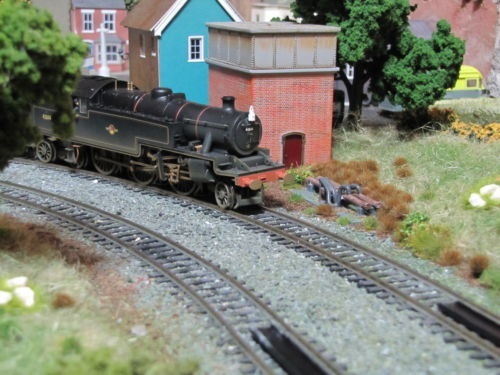 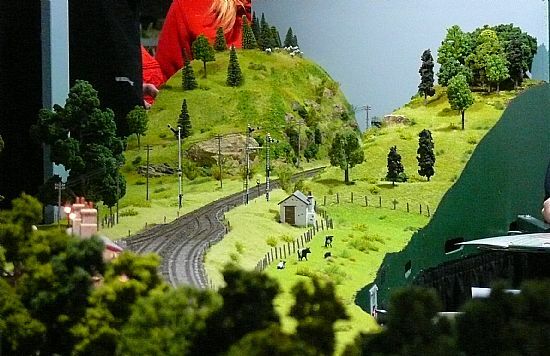 The next picture was submitted by Gavin showing a nice real world, ground level perspective of his Railway layout.